A Dozen Things to Do This Fall—and One Big Don't | Gardens Alive! 3. 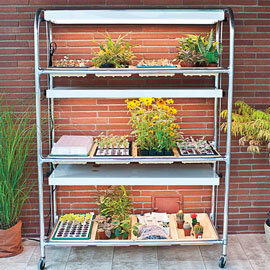 Move outdoor plants inside gradually, over a period of several days, to prevent shock and leaf loss. Make sure their new home has plenty of light, isn't too close to heating vents or radiators and has modern, well-insulated windows. 8. If you haven't planted garlic yet, do it soon! See this previous Q of the Week for details. 9. 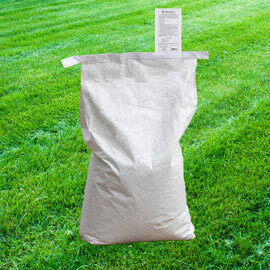 If you have a cool-season lawn and haven't fed it yet, do it soon. See this previous Q of the Week for details. 10. Plant pansies now for blooms that will last through the holidays in even the coldest regions—and all the way into July in places that have—or get—mild winters. Save old Christmas tree branches and use them for springy protection when and if heavy snow or ice storms are predicted. (Remove the protection after the weather event is over.) And be sure to pick and eat lots of the pansy flowers—they're a great natural source of rutin, a nutrient that can prevent and/or reverse the visible effects of spider and varicose veins. (Pansy flowers also make a 50-cent salad look like a million bucks.) See this previous Q of the Week for lots more raving about the power of pansies. 11. If you're planning on buying a truly live Christmas tree—a balled and burlaped specimen that you'll plant in the ground after the holidays—dig the planting hole now. If you don't, it's virtually guaranteed that your soil will be frozen hard from December to March 26th and/or that the weeks after Christmas will feature endless ice and snow storms. Dig a wide hole, not a deep one, in an area that gets sun on all sides and has room for the skirt to grow without bouncing off of your house and/or other plants. Cover the hole with plywood, store the removed soil where it won't freeze and read our article on tree planting before you try and put that poor puppy in the ground. 12. Plant new trees and shrubs now. The survival rate for big plants installed in the Fall is much better than if they were planted in the Spring. And you can get some great discounts at this time of year. Just be sure to read our article on proper tree planting first. 13. (It's a baker's dozen; OK?!) Do NOT prune anything now. Pruning stimulates new growth, which can prove fatal to plants as temperatures plummet. Allow your plants to go fully dormant before you even consider cutting. In general, you should prune big trees in the dead of winter; prune summer bloomers in the Spring; and prune Spring bloomers AFTER they finish flowering. If you're unsure of when to prune, don't prune!